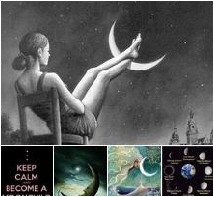 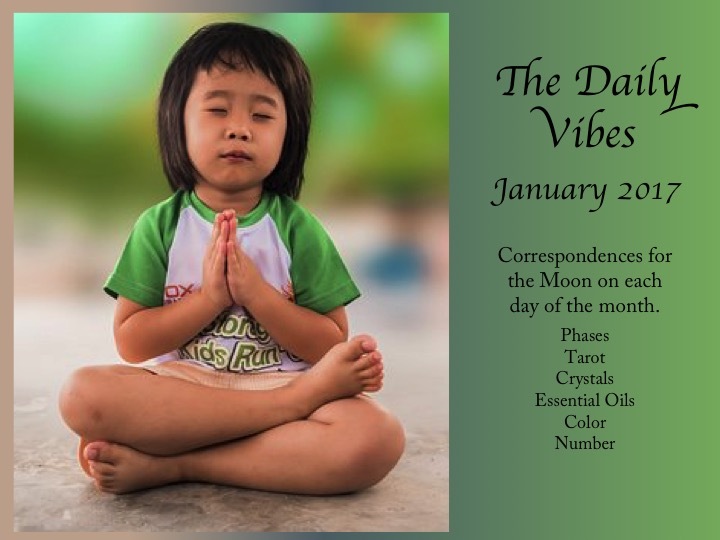 Do you love working with the Daily Moon sign and all her wonderful correspondences? 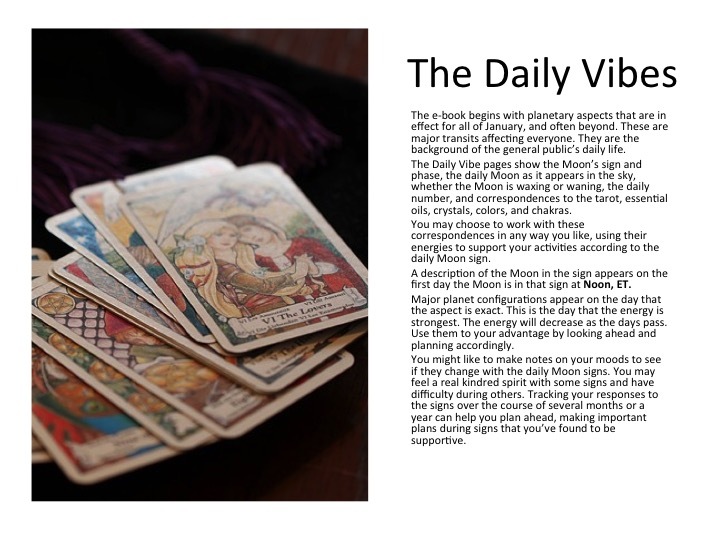 The Daily Vibes has a page devoted to each day of the month that includes the Moon’s sign and phase, associated tarot cards, crystals/gems, colors, essential oils, and chakra. 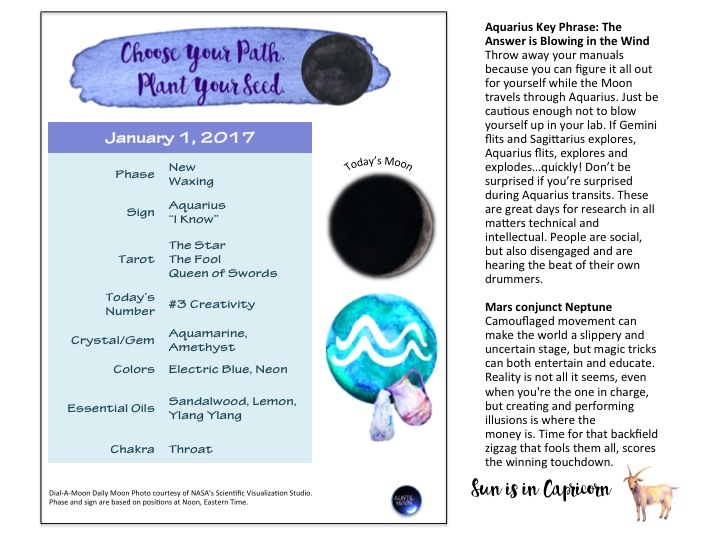 It also includes descriptions of long-term planetary aspects that are in effect throughout the month of January and shorter term aspects on the day they are exact. 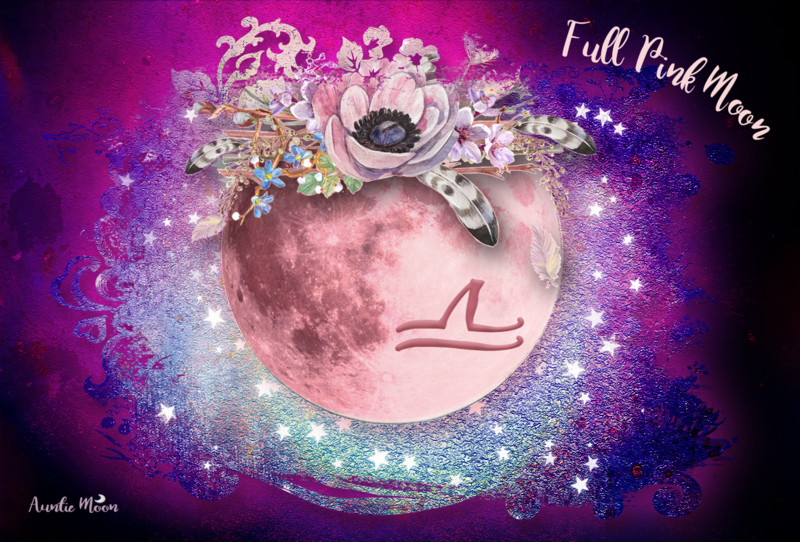 These transits affect everyone, forming the background of our daily life. 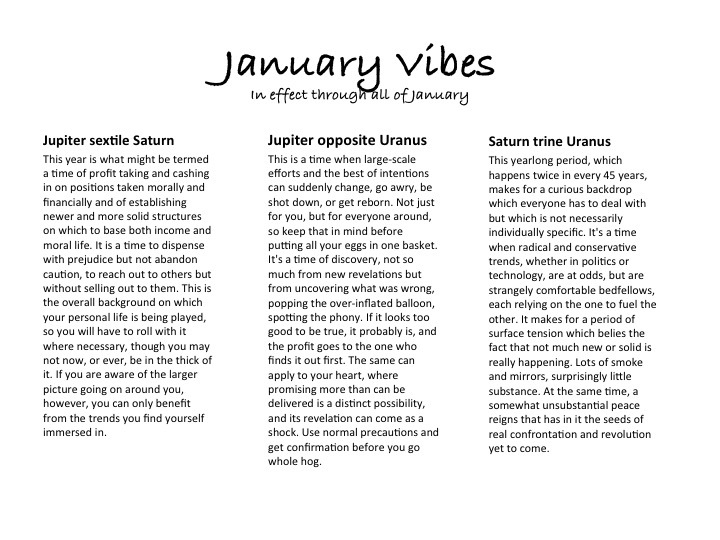 Use them to your advantage by looking ahead and planning accordingly.